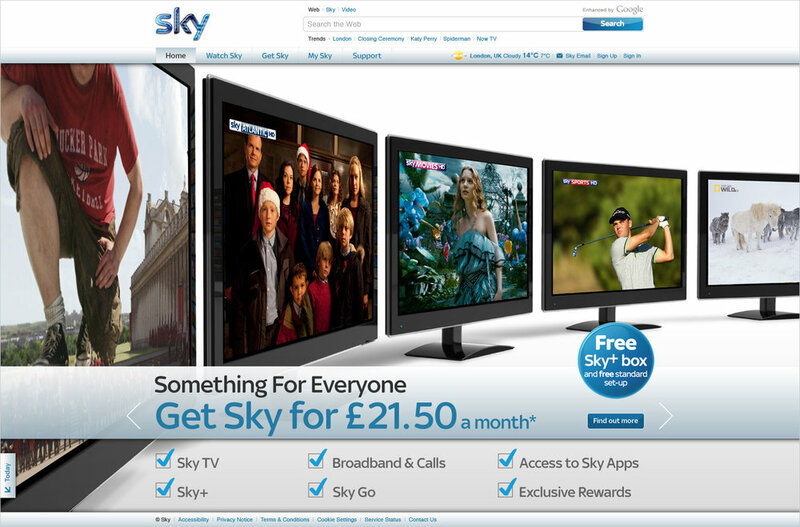 Initial concept for the Sky.com homepage. Art directed by Serge Manoukian at Sky Creative. I worked with the Sky e-Experience team on the redesign of the Sky.com homepage. 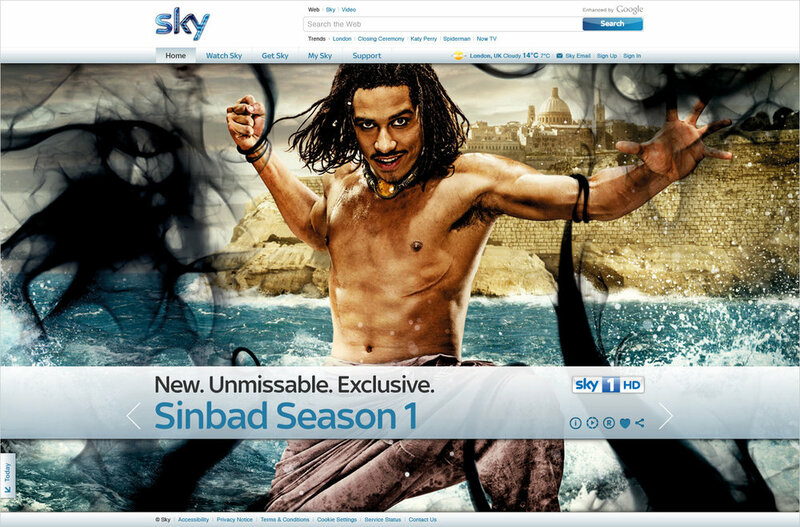 This case study presents one of my initial design explorations, using highly desirable full screen pictures, like giant billboards on a desktop computer, to create an inviting and immersive brand experience, to promote the key content from Sky channels, and to highlight the latest special offers of Europe's leading entertainment company. While I was developing these blue-sky ideas for the evolution of the Sky.com homepage, I also worked on the design, production and delivery of the actual Sky.com homepage with the entire Sky e-Experience agile team.